roscoes chicken and waffles - once a year treat for me! So we normally only go to the west coast once per year for Blizzcon. I made treats, lots of treats, but that's not what this post is about. This post is about some deeeeelicious chicken and waffles. 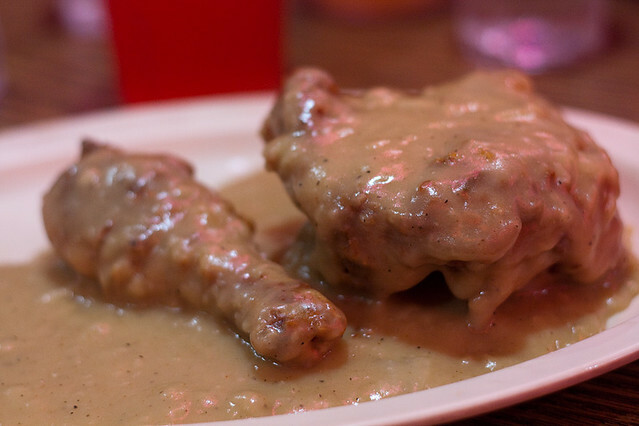 I always get the smothered chicken (dark meat) with waffles and then I think about it occasionally for the rest of the year till I can have it again. I know we have chicken and waffles places here. In fact, I know chicken and waffles originated in NYC, but that doesn't stop me from enjoying the combination of flavors Roscoes offers. Their waffles are gently spiced with cinnamon and nutmeg and the gravy is one of the few I will eat. 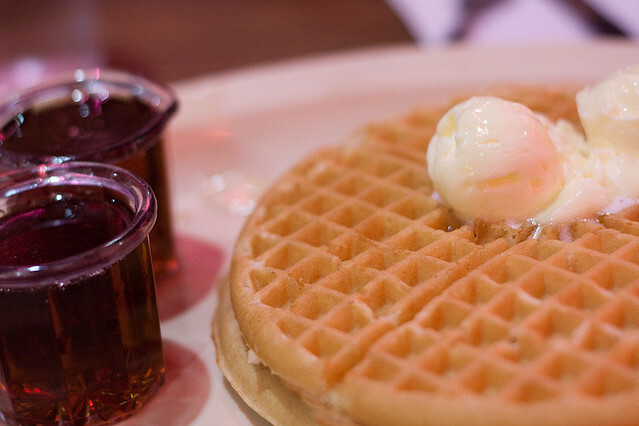 In "anaheim", "butter", "california", "chicken", "roscoes", "syrup", "vacation", "waffles"